Hi girls, I like to share my review about one my favorite lip gloss, I’m using this in all seasons, but it is very good for winter season. I like this refreshing strawberry aroma, girls who hate to use lipsticks like me can try this because it act as a lip balm, lip gloss and gives a mild red color to your lips also and it take care of your lips softness also. The moisturizing content of this lip balm is very effective and last for a whole day without taking any heavy meals. After a heavy meal it completely went off. But overall it has more pros other than cons, in my point of view it is a hit product. Apply evenly and liberally on the lips, when needed. 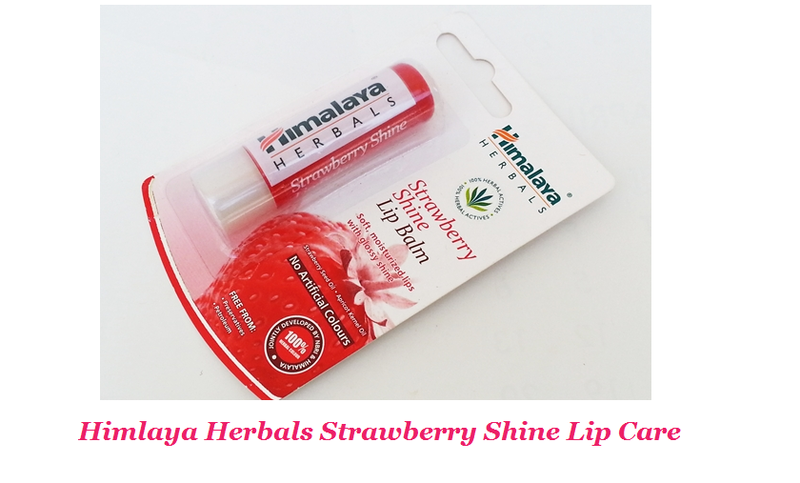 Himalaya Strawberry Shine Lip Balm is a petroleum free lip balm, made from the natural vegetable oils, preservatives, etc. it has natural oils like strawberry seed oil, Apricot kernel oil and many more. It leaves a soft strawberry hue on the lips which look natural. It comes in a beautiful packaging girls will buy this lip balm because of its packaging itself. It comes in a red bullet shape plastic top and transparent plastic bottom. We have to rotate the bottom to release the lip balm from it outer coverage. It covers the lip balm very perfectly. It is a travel friendly lip balm. The lip balm has an excellent strawberry and cherry mixed flavor it makes you to eat that lip balm lol… and the red color will glide on your lips but not too much, it tinted your lips by mild red color and moisturize your lips perfectly and gives a glossy glow. It gives you a very natural looking red tint which I love the most in this lip balm. It keeps your lips moisturize for maximum 3 hours if u take heavy meals in between it means it will went off, so you have to reapply it. WILL I REPURCHASE IT? – Definitely I will repurchase it, because I love this! I recommend you too try this and share your comments with us.